Aspiring to score 90/90 in your PTE examination? 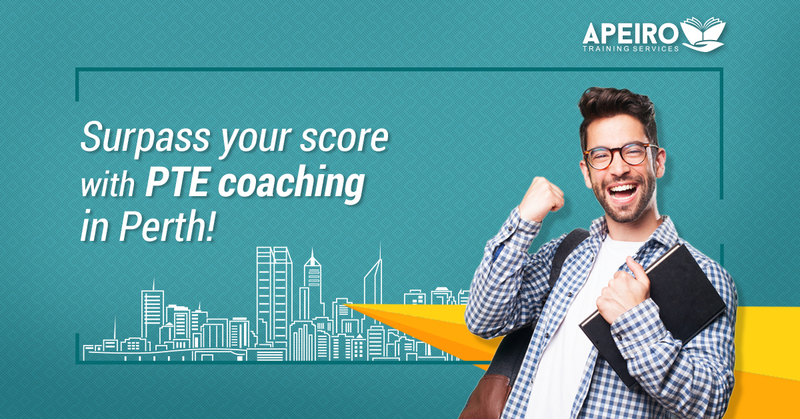 Get desired score in PTE Academic with our qualified team of tutors outlining different strategies alongside providing effective tips. Some of the salient coaching features for test takers are listed below – * Customised plan enables students achieve a good score * Practice sessions are conducted with individual systems in place * Class timings are flexible * Tutors provide up to date tips on PTE coaching in Perth * Review parameters set with mock tests conducted * World-class facilities * 24x7 tutor availability with concerns expressed before/after classroom session hours * Staff provide test dates To enhance your score for lucrative career opportunities, visit us www.apeirotraining.com.au/pte-coaching-perth.html. Register with us now!